Known also to some as the Rocky Mountain Goats, the Mountain goat’s scientific name is Oreamnos americanus. The Mountain Goat is a large hoofed mammal that is indigenous to the areas within North America. Despite its name, the mountain goat is actually not a goat, as it belongs to a different genus. The mountain goats can be found living in areas that are in high elevation. They are sure-footed climbers that can often be found perched on rocky cliffs, keeping themselves in areas that predators cannot easily access. The mountain goats is from the order of Artiodactyla, and is an even-toed ungulate. 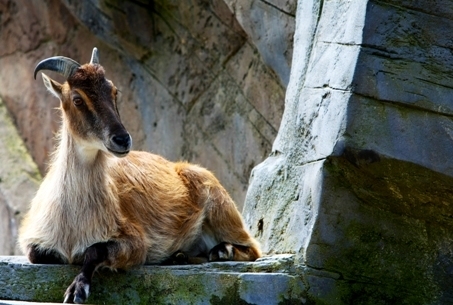 As a part of the Bovidae family, the mountain goat is closely related to antelopes and cattle. 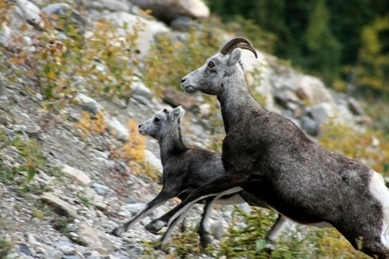 The mountain goats is also a part of the sub-family of Caprinae, which includes many other species like real goats, musk oxen, and the chamois. The mountain goat is the only member that is a part of the genus Oreamnos. Derived from the Greek word “oros” and “amnos”, it translates to “mountain nymph”. The mountain goat calls the Rocky Mountains and the Cascade Mountain Range its home, and can be found in areas like northern Washington, Montana, British Columbia, Idaho, and Alberta.